Then a brick hurled through the window of a small workshop sets in motion a new and unexpected chain of events. 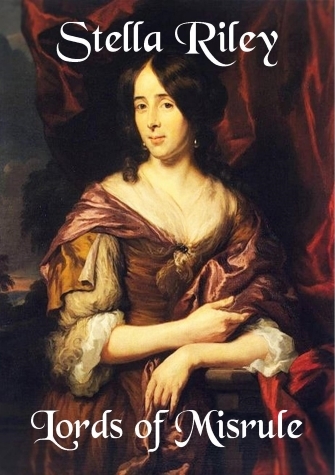 After all, who would want to hurt Lydia Neville – a young widow, giving work and self-respect to maimed war veterans considered unemployable elsewhere? But when the assaults in Duck Lane escalate, threatening the life and remaining limbs of some of Eden’s former troopers, finding the culprit becomes personal. At their first meeting, Lydia finds Colonel Maxwell annoying; by their second, having discovered that he had arrested and questioned her brother in connection with the Ship Tavern Plot, she mistrusts his motives. On the other hand, it swiftly becomes plain that she needs his help … and has difficulty resisting his smile. Solving the increasingly hazardous mystery surrounding Lydia is not Eden’s only task. Between plots to assassinate the Lord Protector and a rising in Scotland, he must also mend the fences within his own family and get to know his son. Life suddenly goes from mind-numbing boredom to frenetic complexity. With reckless Cavaliers lurking around every corner and a government still struggling to find its way, Lords of Misrule is set against a time of national discontent and general failure. But readers of the previous books in the series can look forward to catching up with old friends as well as meeting new ones … while, against all the odds, Eden and Lydia find danger and reward in equal measure. 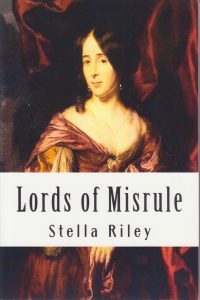 Lords of Misrule is this sequel to The Black Madonna, Garland of Straw and The King’s Falcon . Click on the book for further details.